For 20 years indie record store Other Music was an influential hub of music culture in NYC. Featuring Vampire Weekend, Animal Collective, Interpol and more, the film reminds us that the spirit of the much-loved destination will live on. Puloma Basu and Rob Hatch-Miller are a married couple and directing/producing team who met in New York City and recently relocated to Los Angeles. As directors they’ve helmed music videos for artists including Sharon Jones & The Dap-Kings, Aimee Mann, Martin Courtney (Real Estate) and Leverage Models Feat. Sharon Van Etten. Puloma and Rob have also produced numerous music videos alongside director Tom Scharpling (The Best Show, Scharpling & Wurster) for artists such as The New Pornographers, Ted Leo & The Pharmacists, Titus Andronicus, Ben Gibbard (Death Cab For Cutie, The Postal Service) and Kurt Vile. Puloma & Rob directed and produced the first season of the standup comedy series Night Train With Wyatt Cenac for NBC’s Seeso platform. And they are two of the filmmakers behind the feature-length soul music documentary Syl Johnson: Any Way The Wind Blows. In the summer of 2016, New York City lost a beloved and influential hub of independent music culture. 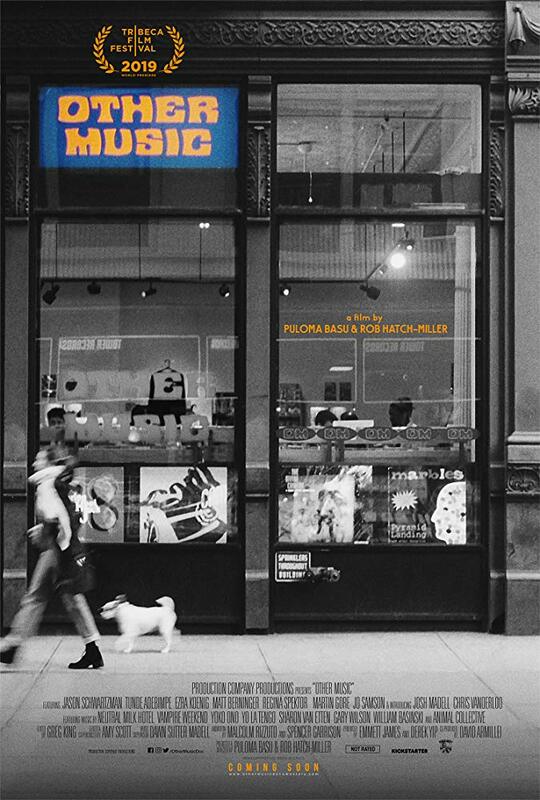 Other Music–located on East 4th Street between Broadway and Lafayette in the heart of Manhattan’s East Village neighborhood–was more than just a store that sold CDs, records, tapes and magazines. It was a place where bands were formed, record labels were born and careers were launched. And it was THE place where a generation of New Yorkers at the dawn of the Internet age went to discover groundbreaking music by artists who would go on to become household names and underground icons: Animal Collective, the Yeah Yeah Yeahs, Vampire Weekend, the National, Interpol, TV On The Radio, Regina Spektor, William Basinski and countless others. With more and more record stores, book stores and video stores closing everywhere, the communities that have built up around shops like Other Music are slowly dissipating and migrating to online forums. Nowadays most people are streaming music online rather than purchasing it digitally to download, much less going to stores to buy physical media. As the music industry continues to move in that direction and community hubs like Other Music struggle to remain in existence, we think it is important to celebrate what spaces like these have meant to people in the past– and how their spirit can live on in an increasingly digital world.